Day 2 of Marketing Nation Summit has been a whirlwind of amazing sessions and fantastic keynotes…the momentum is going strong. The highlight of the day was the inspiring keynotes from our very own CMO, Sanjay Dholakia, and an inspiring line-up of innovative marketers. 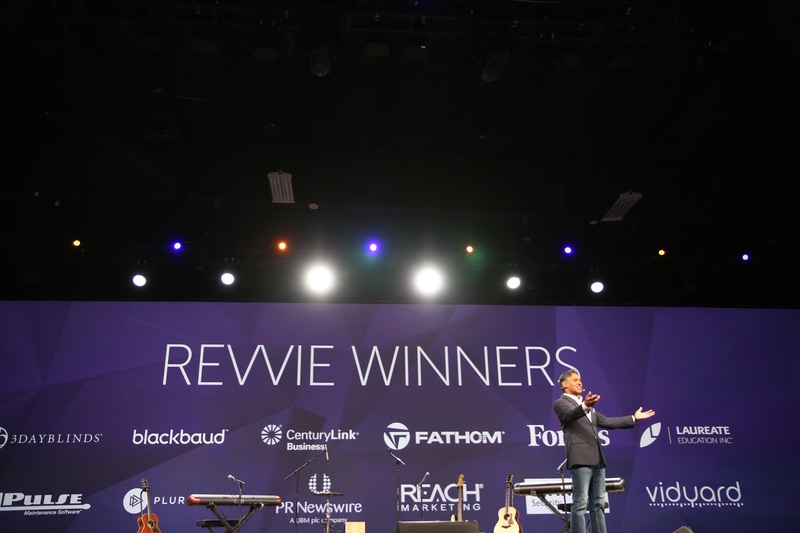 We’re so proud of our community that is The Marketing Nation, and this year’s Revvie Award winners represent some of our most innovative and impactful customers and partners who are killing it in the marketing world and inspiring others while they’re at it. These winners span industries and company sizes, and are driving serious results in their organization. Tomorrow’s marketer is among us—within you, in the conference, in your team, in your organization, and also in the younger generation. Sanjay announced our new program, Marketo Engaged, which provides under-resourced students with personalized, ongoing support to and through college and into their careers. It will empower tomorrow’s marketers with the resources and knowledge they need to realize their dreams, and it will provide our employees and The Marketing Nation with the opportunity to change lives and make a difference. Then, we jumped into a series of Nation Talks with changemakers from Facebook, Wunderman and PR Newswire. The talks kicked off with Gary Briggs, CMO of Facebook. Gary asserted that now is the absolute best time to be a marketer. Why? Because digital is no longer a trend or the future, it’s now and it’s how you communicate with the 1.6 billion people on Facebook each month. We’re in the era of people-based marketing, and marketers are better equipped than ever before to understand people and communicate with them in ways they never have before. And that’s Facebook’s mission—helping businesses and marketers connect with people across their entire lifecycle, from engagement to retention, and provide the data for marketers to feel confident about their decisions. Gary shared an example of how Facebook has used its own products in campaigns that combine beautiful visuals and data to reach targeted audiences, compel them to engage, and measure their impact. This next generation of tomorrow’s consumers grew up with technology and they’re not digital natives–they’re digital dependents. They know you have their data and they expect you to use it to personalize their brand experiences. In fact, 68% want content created just for them. They know they’re control of what they want to see, ignore, or block. They see value in elationships (new marketing term anyone? ), relationships built through digital interactions. Jamie advised that to build lasting, loyal relationships with them, from digital and beyond, it’s not enough to just know what they want. You need to know who they are: their passions, issues, and values. 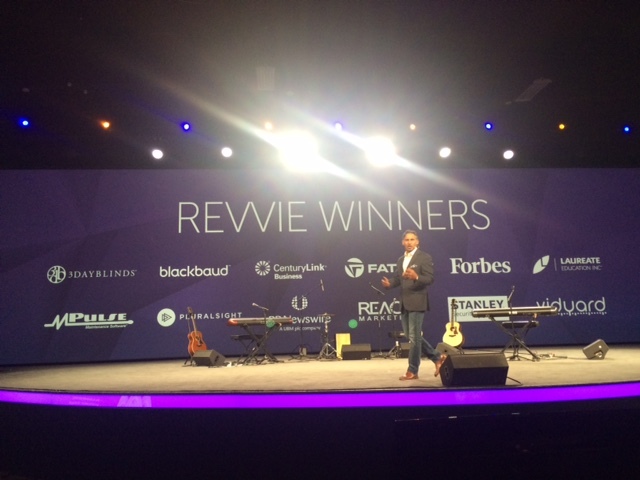 Finally, Ken Wincko, CMO of PR Newswire, took the stage to emphasize the importance of the customer experience. He started by sharing a story of a hectic Christmas, one where he had to buy 30+ christmas presents for his kids, nieces, and nephews, and he had decided to order them all from Amazon. All but one came in time, which eroded his trust in Amazon. 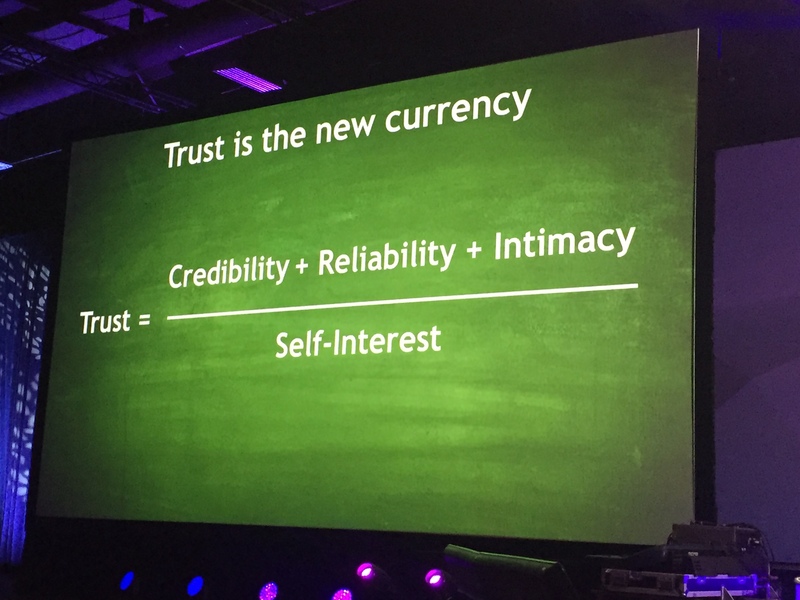 Trust = Credibility (expertise from everyone who interacts with the buyer) + Reliability (you have to deliver time and time again) + Intimacy (How well do you know your buyer, including the wants and desires that they might not know they have?) divided by self-interest. One way to start building trust? Relentlessly think about improving the customer experience and building advocates. Today, most marketers think about the customer experience as personalization and building 1-to-1 experiences when in fact, it’s about advocacy. 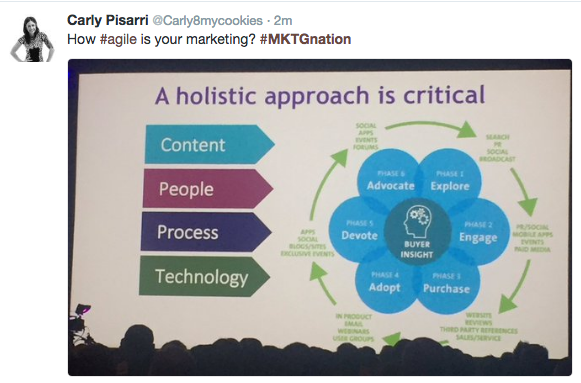 And that’s all great, but when you overlay how most of today’s marketers allocate their budget (80% of marketing spend goes to ads), you can see that a rethink and a shift toward supporting advocacy is needed. Organizational Alignment: Customer experience requires cross functional thinking. 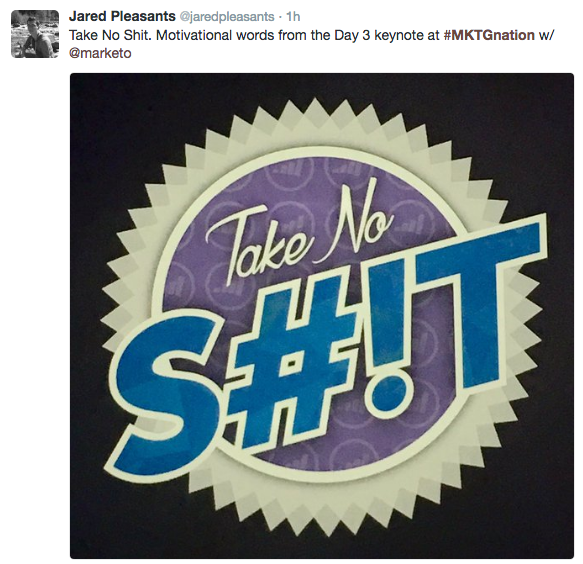 The theme of tomorrow’s marketer has been echoed throughout The Marketing Nation Summit. Sanjay closed off the keynote with the question many of us are asking: Who is tomorrow’s marketer? It’s not who you think it is. Tomorrow’s marketers aren’t defined by a specific skillset; they’re defined by their attitudes. Sanjay shared a few stories of successful marketers today, who are known as “accidental” marketers. 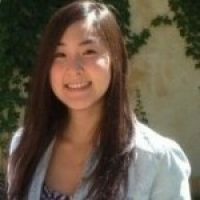 They started with backgrounds in different industries and fields, so what helped them transform into a marketer? Their intrinsic traits, not their skills. In today’s new IoT, everywhere world, tomorrow’s marketer has to meet customers wherever they are. And it’s through these traits that they can quickly adapt to the technology and skills that are required to help them do this. If you’re a team leader, bring these people into your organization and they will thrive. If you have these traits, make sure people know it and you will soar. While it’s important to have deep specialization within your organization, the marketers and marketing teams of tomorrow need to know how to operate horizontally. No matter the channel, function, or opportunity, they’re always looking for to learn, practice, and grow their skills. And they will take no S#!t. They’re determined and persistent, despite anything that may come their way. You are well-positioned to be tomorrow’s marketer, with marketing driving organizations through digital transformation and customer-centric journeys. So who is tomorrow’s marketer? It might just be you. 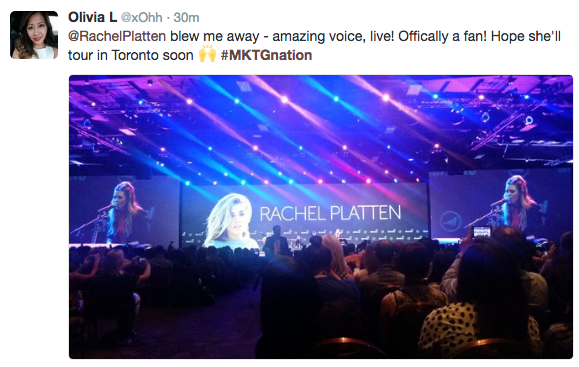 Rachel Platten took the stage to round out what was a kick-a** day 2 keynote. She shared her struggle with listening to her heart and following her passion for music. She talked about getting into the music scene late, how quickly she had to adapt, learn, and grow, and how important it was to face the discomfort of that rapid growth. What was your biggest takeaway from Day 2 keynote? Stay tuned for a session recap coming tomorrow.